Street art and fashion are a pairing that makes sense. After all, both are forms of vibrant expression. 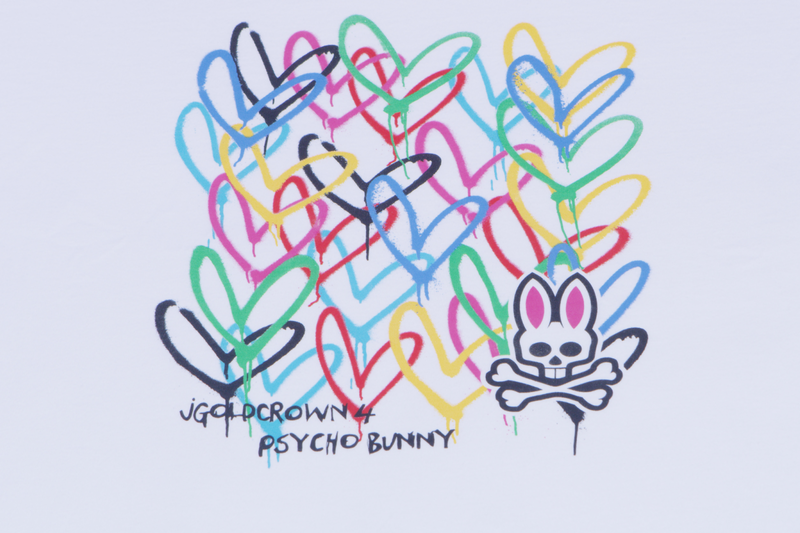 And when that art is courtesy of James Goldcrown, and the brand is Psycho Bunny, the collaboration not only clicks, it seems like it was meant to be. 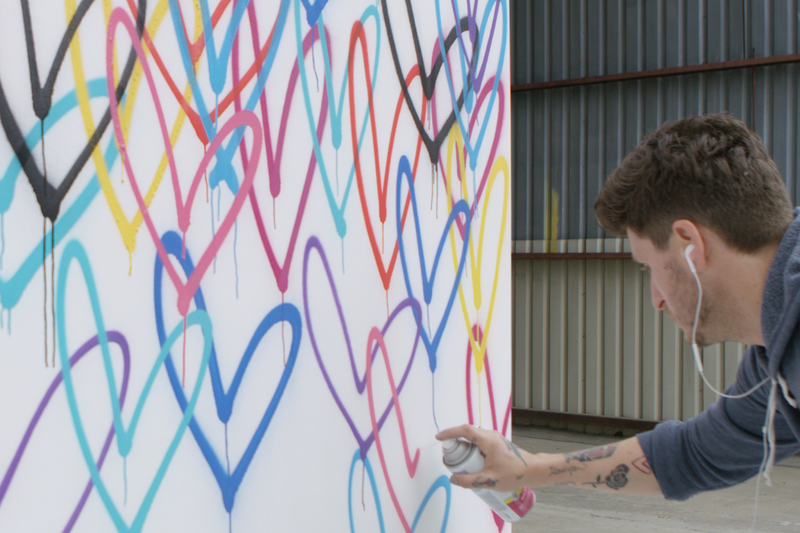 The menswear line, home to polos made with the finest Pima cotton from Peru, is launching a collaboration with the Love Wall artist this month. The collaboration was unveiled during the exclusive Super Saturday Tailgate party hosted by private aviation leader Wheels Up, where guests took home an exclusive t-shirt designed by Goldcrown and Psycho Bunny and enjoyed a live display of Goldcrown's art. "It was an alignment of the stars," Robert Godley says of the pair up. He and partner Robert Goldman were both fans of Goldcrown's work and street art in general. "My interest really started where I lived in East London," Godley explains. "Banksy's hometurf. That was really when I became aware of street artists." His admiration for the bold expression and colors was a natural match for the menswear line. 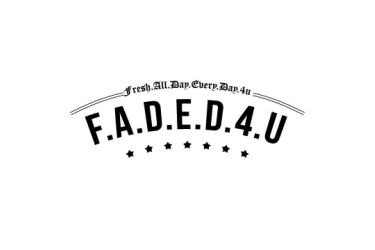 "Given that our logo is so graphic, it kind of works in tandem with street art and that vibe." 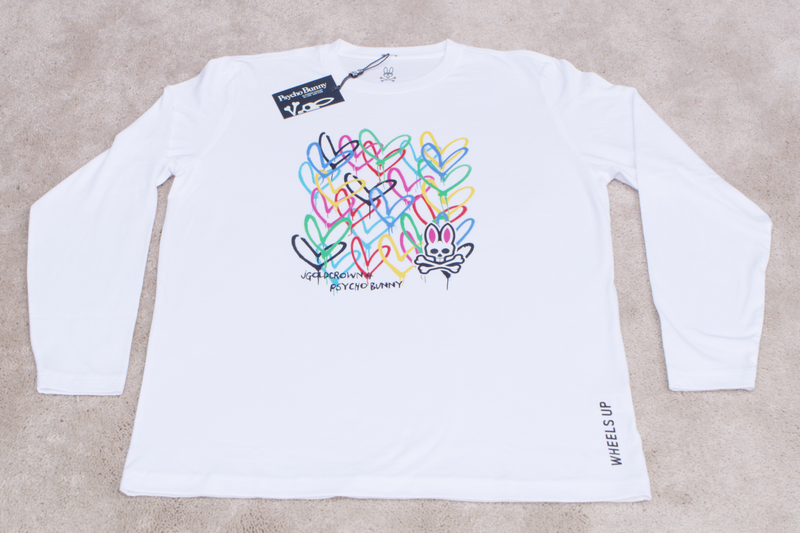 The collaboration will include graphic crewneck tees, designed by Goldcrown and Godley. 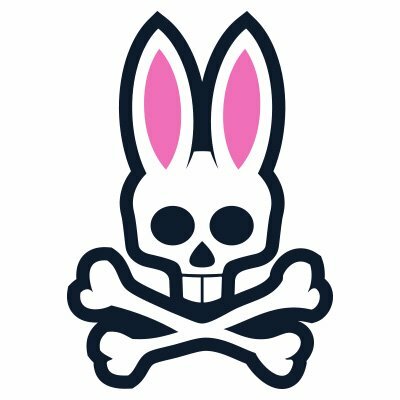 "Psycho Bunny has a unique logo that is instantly recognizable and evokes emotion. The heart has the same kind of effect on people and speaks a universal language. So this collaboration is really about combining the two icons and bringing together two unique audiences." And while Godley is a fan of his work, he hasn't been lucky enough to see Goldcrown paint live—until now. 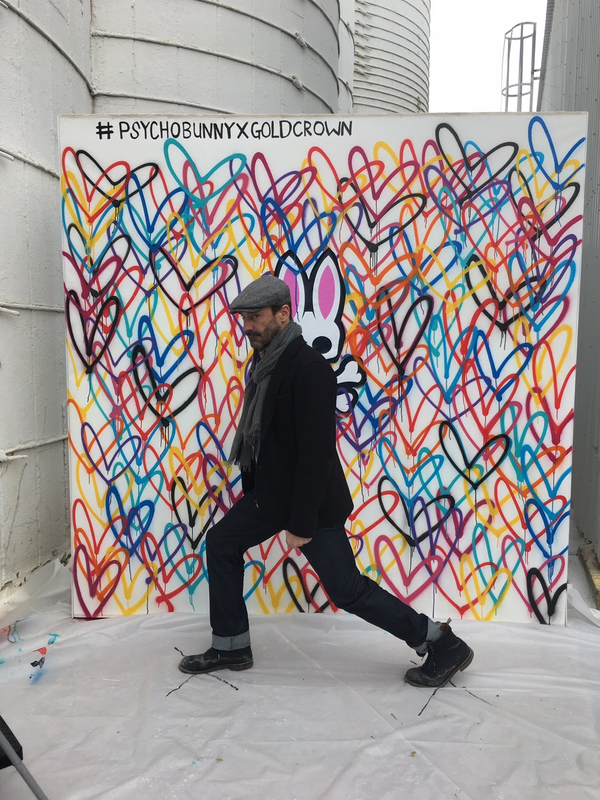 In a genius melding of art, fashion, and sports, Goldcrown painted a live #LoveWall, offering the perfect opportunity for fan selfies at the event with their exclusive shirts featuring the art seen on the wall. The message? Love, of course. "James is known for his cascading hearts," Godley says. "I think that translates into any culture. It appeals to everyone. I don't think the world will ever tire of needing love. And this is James' way of sharing and expressing that." Following the unveiling of the collaboration in Houston, the brand will introduce a capsule collection of shirts to retailers at Project Trade show in Las Vegas, which will include short sleeve crewneck tees, all with the printed signature James Goldcrown 4 Psycho Bunny collaborative artwork, in three designs and seven styles which will retail for $60.00. Expected delivery first dates for the tees will be July 15th, 2017. As for Godley, a Brit, he's a fan of sports in general, as apparent by the adventuresome nature of Psycho Bunny. "I love sports," he raves. 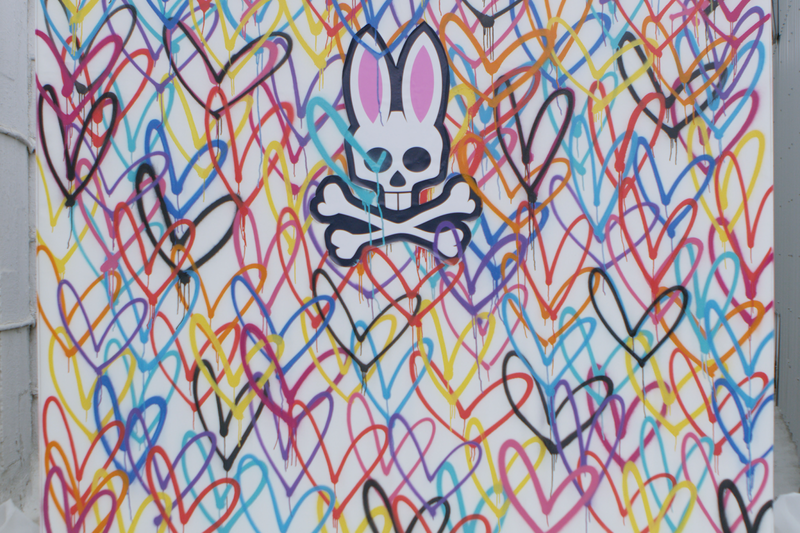 Psycho Bunny is the brainchild of Robert Godley and Robert Goldman, and was launched in 2005. Combining Pima cotton with fine tailoring and an irreverent attitude, Psycho Bunny struck a chord and soon developed a dedicated following. 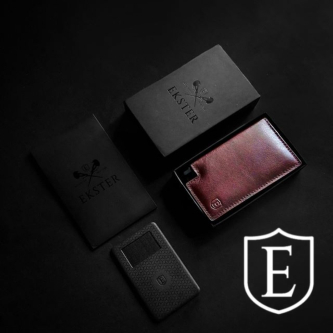 Today, it has become a staple for every well-dressed man, and the unforgettable logo has risen from cult status to must-buy. Psycho Bunny is carried at fine retailers such as Nordstrom and Bloomingdale's. Born in West London, JGoldcrown is a self-taught artist/photographer now based in New York & LA. At 24, after 7 years in the industry, JGoldcrown took a break and went to Africa to make the documentary "To Die No More" which highlighted the AIDS/HIV epidemic. TDNM won 2 awards and raised over £10,000 which was donated to the people featured in the film. In 2015 he had his first show at Miami Basel where his work sold out in 2 hours. 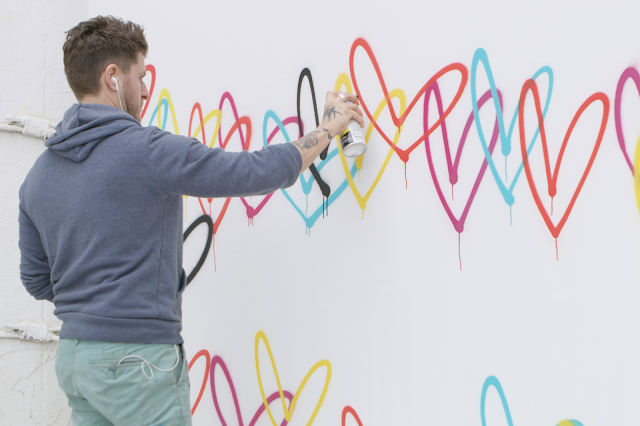 JGoldcrown is now known internationally for his Bleeding Hearts/Lovewall murals that can be seen around New York, California, Texas, Miami & Chicago. Wheels Up is a revolutionary membership-based private aviation company that significantly reduces the upfront costs to fly privately, while providing unparalleled flexibility, service and safety. Created and led by renowned entrepreneur Kenny Dichter, Wheels Up offers guaranteed availability to its private fleet of new Beechcraft King Air 350i and Citation Excel/XLS aircraft to individual, family and corporate members. Members also have access to Wheels Down, a program featuring exclusive events and experiences, unique partner benefits and a full-service luxury concierge.